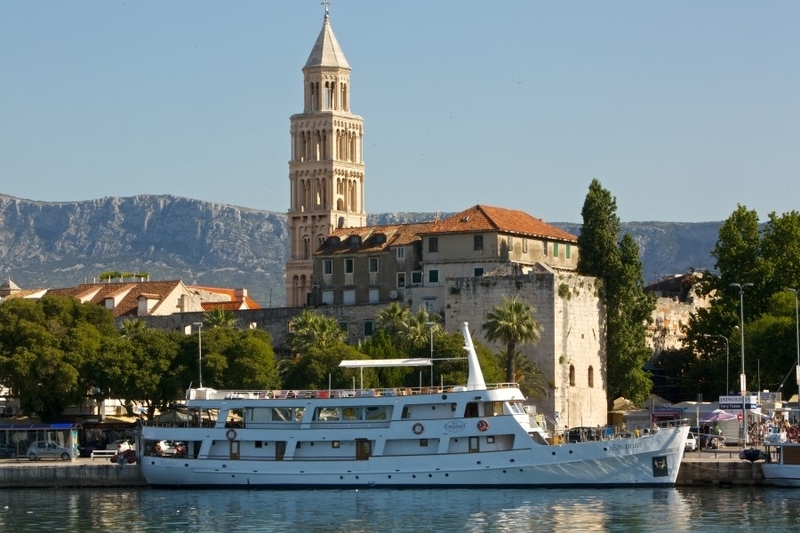 This unique cruise explores a stunning area of the Adriatic coast between the historic cities of Split and Dubrovnik, with intermediate calls on the beautiful islands of Mjlet with its pristine National park, Hvar and Korcula as well as the mainland coastal resorts of Makarska and sleepy Trstenik. 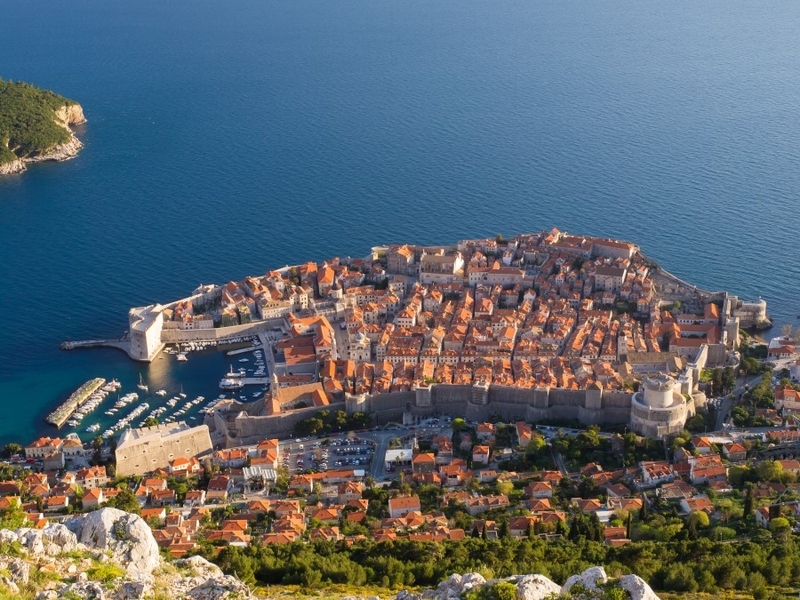 Dubrovnik is the highlight of this cruise and this historic UNESCO world heritage city needs no introduction. The old town inside the Medieval walls will enchant you and there is much to see in the afternoon, evening and morning you will spend here. 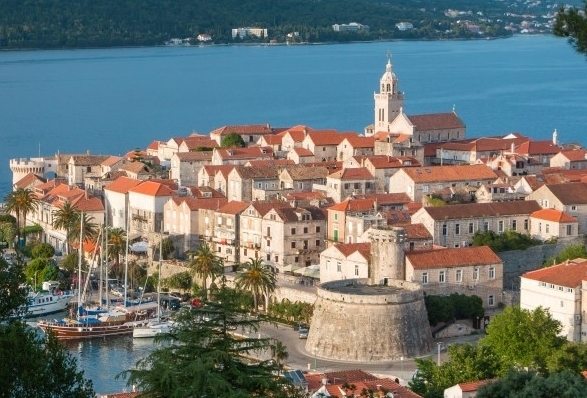 Our cruise ends in Split, which has its own authentic old town which is well worth exploring. The coast and islands have a rich tradition in its cuisine, influenced through the ages by an eclectic range of styles and flavours, from the Venetians, as well as Ottoman and Slavic influences, with each of the islands having its own unique signature dishes and specialities. Departure from Split harbour. We cruise along the Dalmatian coast towards Makarska. Afternoon swim at one of the wonderful beaches. Optional river rafting excursion or zip line on the Cetina river. Overnight in the port of Makarska. Early morning departure towards Mljet, with a refreshing swim stop on the Peljesac peninsula. 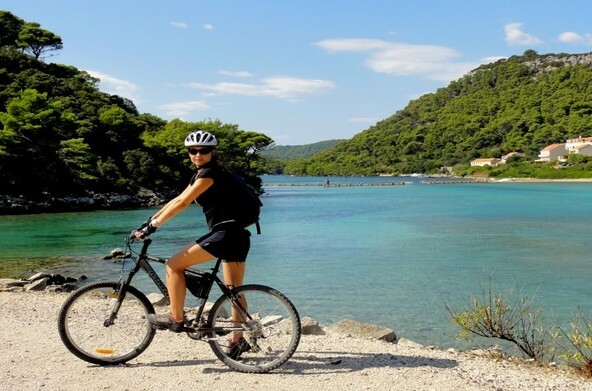 Afternoon visit to the salt lakes in Mljet national Park to enjoy the sun sea and tranquility of your surroundings. Once inside the National park, you may visit the monastery and church on St Mary isle or rent a bike (optional) and cycle around the lakes. Overnight in port. Morning departure to Dubrovnik, arriving in the afternoon. Explore the city on your own or join a guided tour, followed by an optional cable car ride up to Srd Mountain for spectacular views of the old town. Overnight in the port of this magical town. 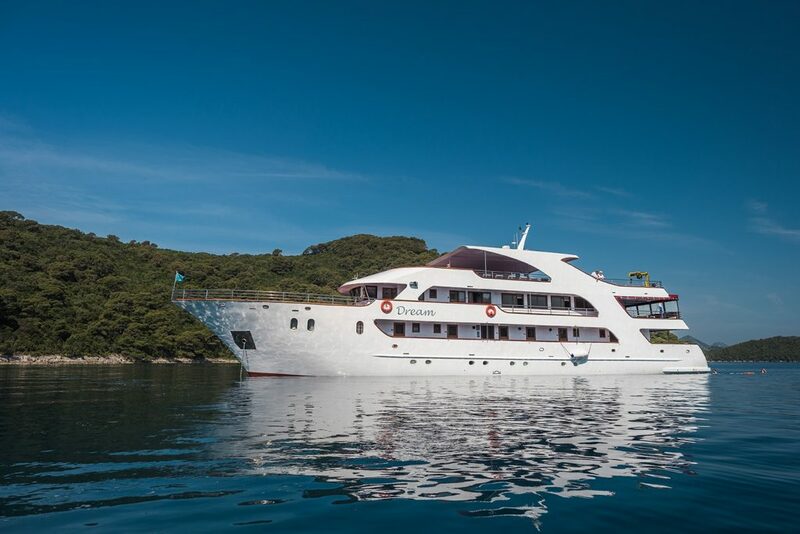 Morning is free to explore Dubrovnik, with it’s many narrow streets, monuments and churches.Early afternoon we continue our cruise towards Sipan isle or the small town of Trstenik, where we will swim in the afternoon, and spend the night. Possible visit to a local winery. 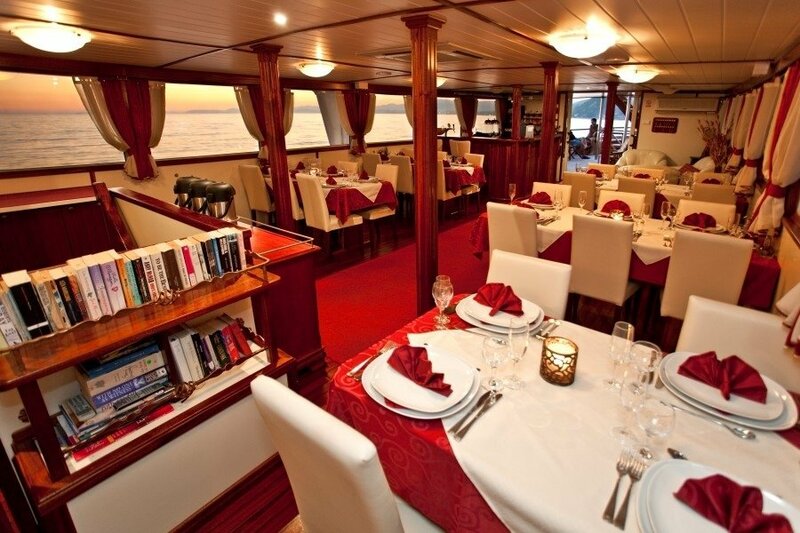 After breakfast we depart for the island of Korcula, the birthplace of famous explorer Marco Polo. Afternoon arrival in Korcula. 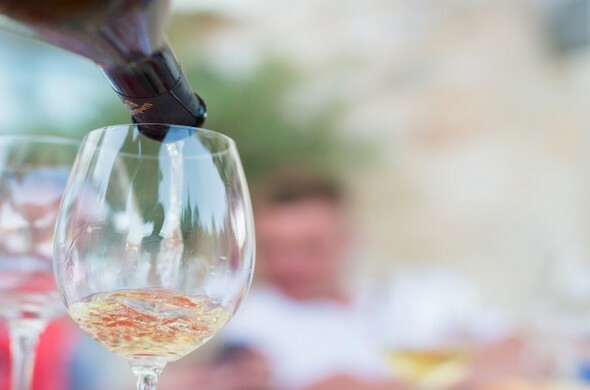 Optional sightseeing of Korcula and wine tasting at a local winery. Overnight in port. Early departure towards the Pakleni islands for lunch and a swim stop. 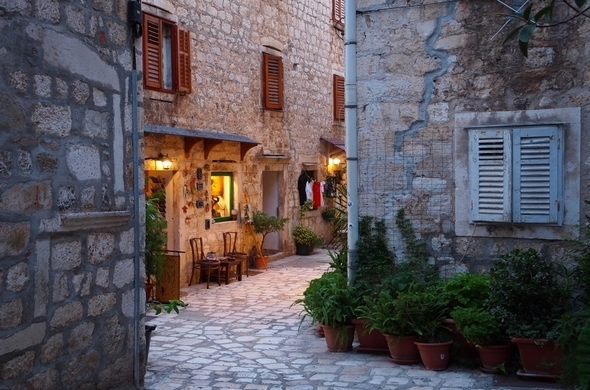 Optional afternoon sightseeing of Hvar, which is the longest island in the Adriatic. 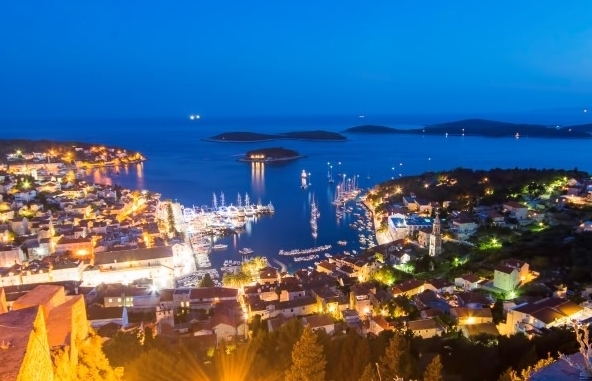 Hvar has much to offer in entertainment, excellent restaurants, bars and cafes. Overnight in Hvar. Our next stop is Brac island. 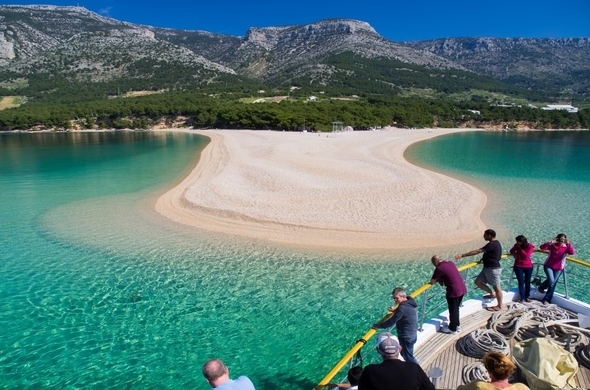 Swimming is planned at the most famous beach in Dalmatia – Zlatni Rat near Bol. After lunch we start our journey back to Split, making a swim stop along the way in one of the many bays on Brac island. 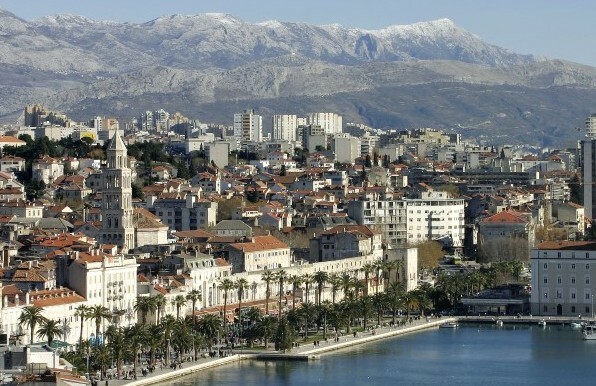 Possibility to join a guided tour of Split, with its abundance of Roman architecture. Overnight in Split. Early breakfast and time to say goodbye to your new friends and the crew before we disembark. 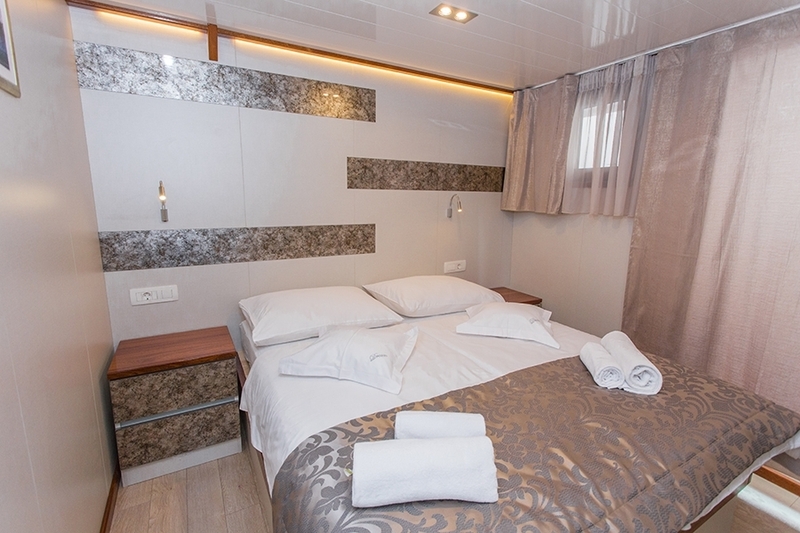 The motor yachts of the Katarina Line fleet are modern ships 29 to 35 meters in length and en suite air conditioned cabins size from 8 to 14 square meters. 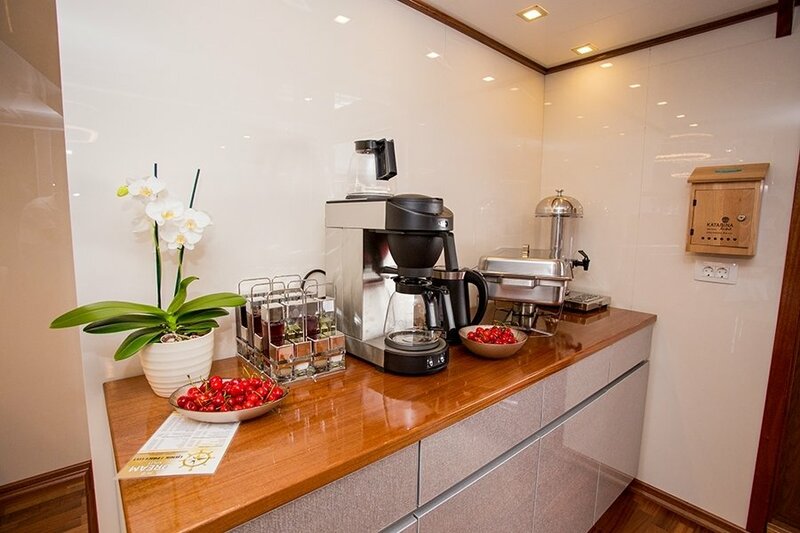 On all vessels you will find spacious sun deck, lounge and restaurant area as well as swimming platform on the aft deck. 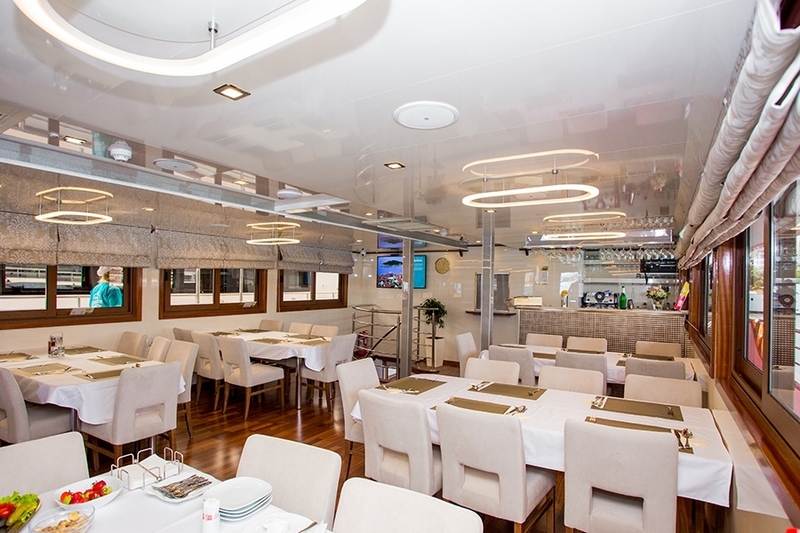 The motor yachts of the Katarina Line fleet are modern ships 38 to 41 meters in length. 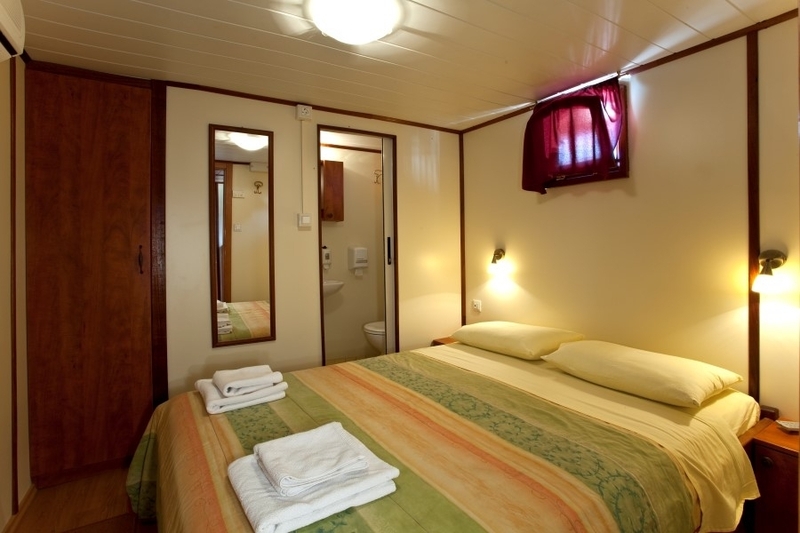 All cabins are air conditioned and with en suite facilities size from 8 to 14 square meters. 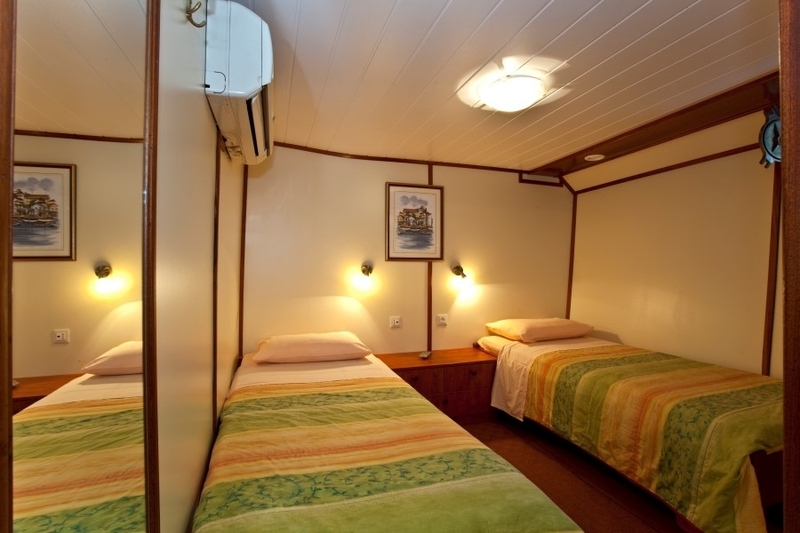 Double and twin cabins are equipped with safety deposit boxes and hair dryers. 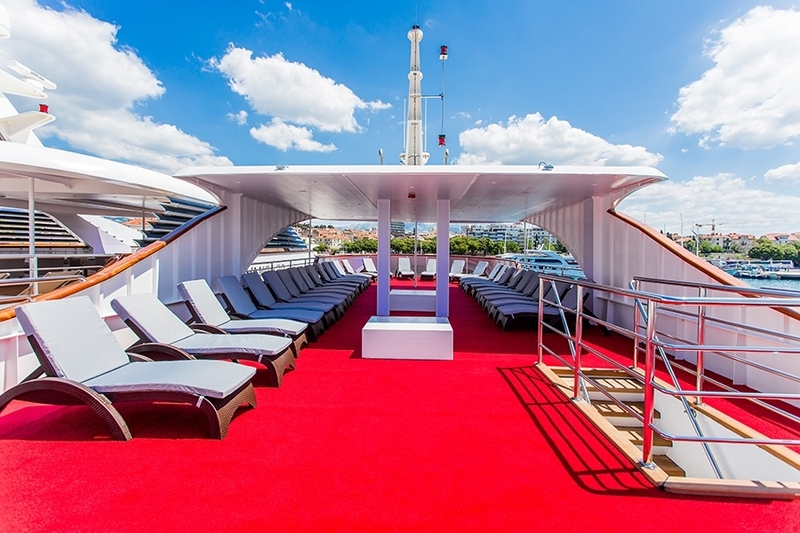 On all vessels you will find spacious sun deck, lounge and restaurant area as well as swimming platform on the aft deck. Direct flights available from London and Bristol to Split. Direct flights from other UK airports are also available and require pre cruise stay. Transfers from Split airport to Split port in approximately 40min.